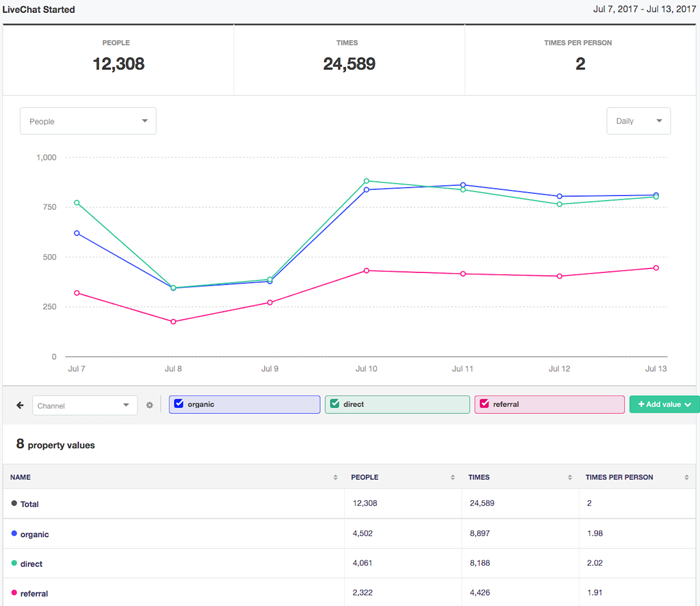 Track various LiveChat-related information using Kissmetrics to learn more about your customer service. LiveChat Chat started (includes the email and name of the visitor). LiveChat Ticket form filled in. LiveChat Pre-chat survey filled in. LiveChat Post-chat survey filled in. Additionally, you get the information about who contacted you via chat (their name and email) and the agent that answered that chat. The contact will receive an additional user_property called Performed chat: true, which will allow you to segments your Kissmetrics data on people who have chatted with you and those who are yet to do that. 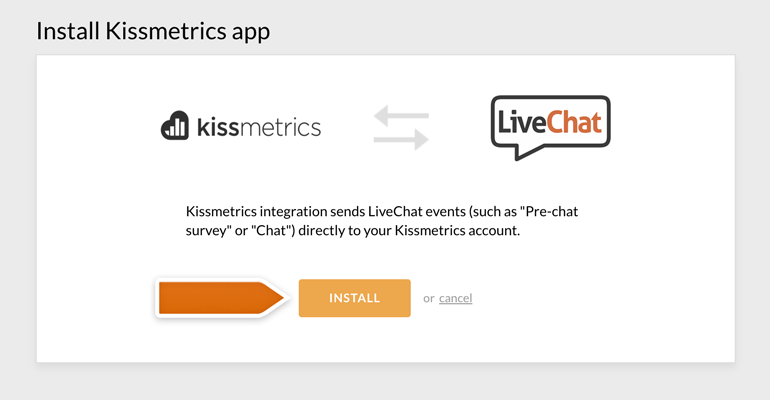 Access the Kissmetrics integration and click on the Install app button. Congratulations! The integration is now installed. It will automatically send the event data to the Kissmetrics code placed on your website. The events should now start appearing in your Kissmetrics in the Live section.